Exhibited at Aalto University (Helsinki), as part of the Arts of Research Conference 2017. 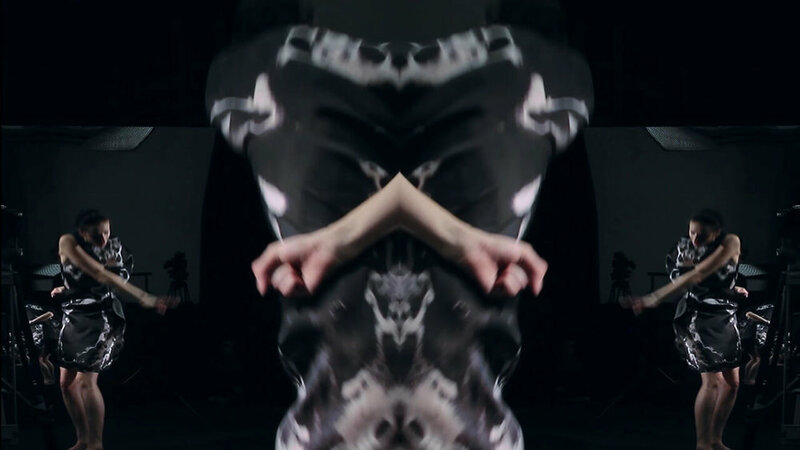 MISE EN ABYME explores the visual and aesthetic dialogues between design and performative practice by interpreting the dressed body as image, gestural and space-making tool, and its ability to create transitory drawn traces across the surface of the film screen. 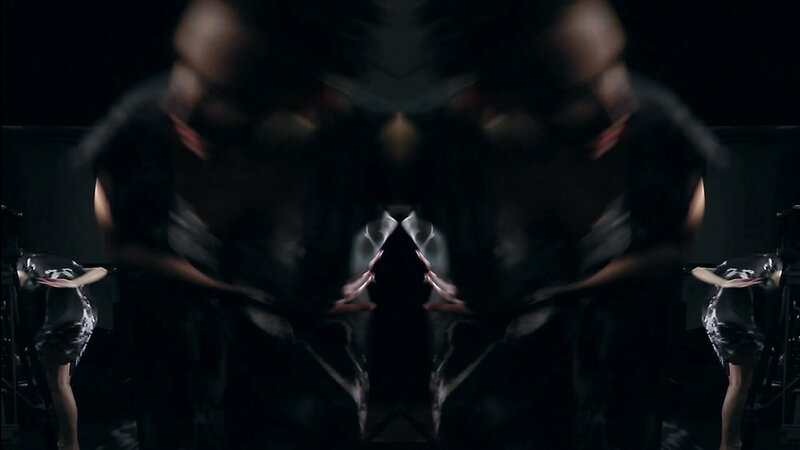 The work explores what lies within and on the edge of the film frame, where the marginal edge is bought to the centre, thereby creating a visual and spatial performance where the single image becomes dual, encouraging a perceptual oscilation of image, form and body. The films depict a never ending choreographed performance, where actions and gestures are mirrored, reflected and repeated, facilitating an experience which is, ‘illusionary’ and ‘virtual’ in its relationship to time and movement. The performance within the image is repetitive and relentless, falling in and out of synch, there is no beginning nor end, instead an evolving cycle of image, bodily and audible movement. MISE EN ABYME explores the notion of the image within the image, whereby the singular becomes infinite through an act of reflection, and the viewer is implicated as 'presence' in relation to the image and scene unfolding, becoming co-performer rather than static observer, an active participant in drawn spatial interactions.